Discussion in 'RGSS3 Scripts (RMVX Ace)' started by kamekache, Feb 7, 2017. 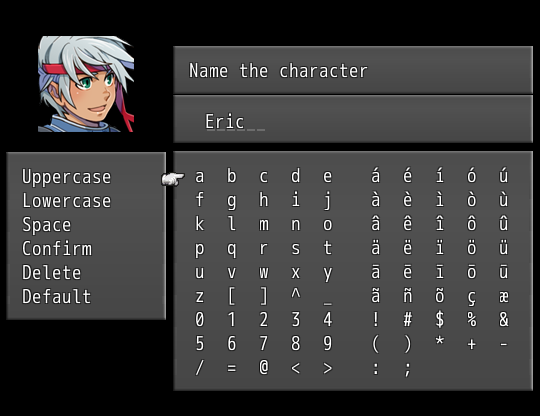 A remake clone/similar from the Name Input Menu of the SquareSoft's game "Final Fantasy VIII". 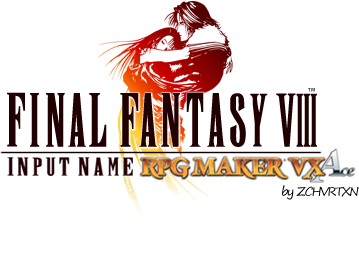 It's only for RPG Maker VX Ace. I actually made it for my own project. The configuration and instructions are in the script. The default WINDOW_SKIN configuration is false, so if you change it to true like above, you will need to put in the Game folder the files that you find in the download section below. The cursor in the screenshot isn't added to the script code, I use my script and the "Victor Engine - Arrow Cursor". You can use the cursor script that you like, but it's not necessary have a cursor script to use my script. I know i'm kinda late..but can you reupload the download link? It's broken.